I always say pick one focal point for your outfit. Obviously if you are going to rock this trend – THIS is what we want to focus on. A solid color shirt is the easiest way to do this. 2. 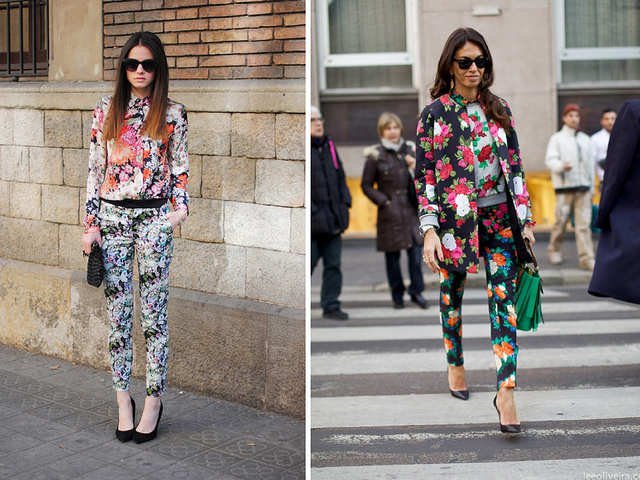 Choose darker colors – it will make you look slimmer! If you are thinking noooooo way I’m too bottom heavy for this, just wait. If you go for darker clothes you will look even smaller than you are. 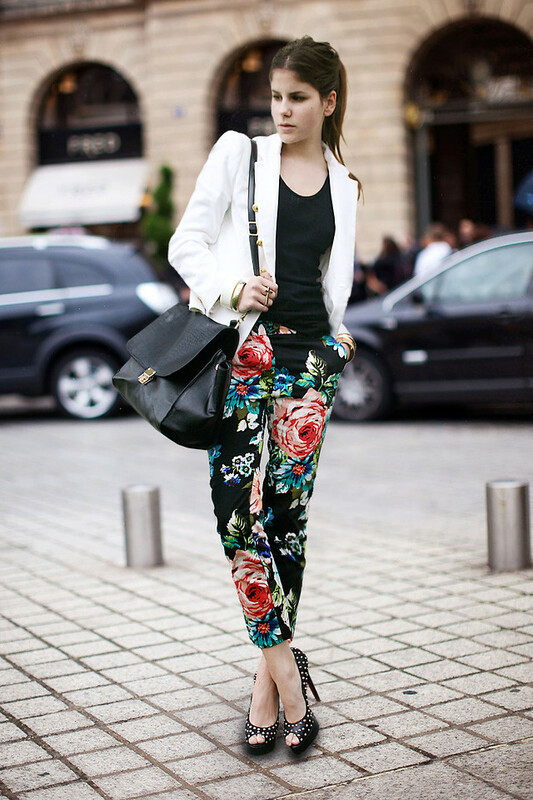 Pay attention to the color of the fabric, the material, the shape of the pants and how large the pattern is. With all of the details you can find a pair that looks incredible on you! If you think this trend is too far out there for you, pair it with a blazer tailored jacket and heels you will look chic. Want to look like a rocker? Pair with a leather jacket and booties/boots. 5. To make it more edgy- just add black! Still not a major fan? Use black, black and more black to make you feel hot and not like an upholstered couch. For Bonus Points- partner with other patterns. NOW THIS IS FOR THE ADVANCED! This look can go very wrong really fast. But if you can do it well it is a complete showstopper!!!!! 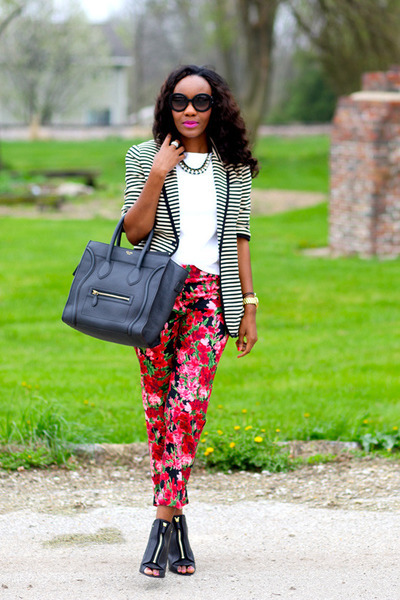 Here is my one of my floral pants look. This is my going to brunch with friends, chill look. 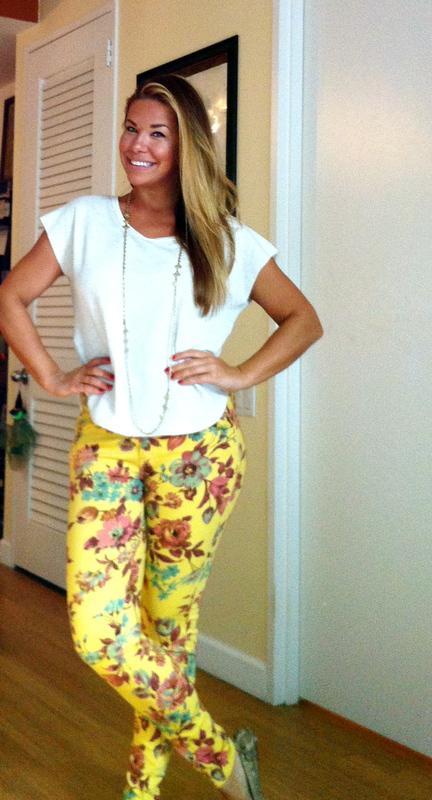 Since these pants are really loud I paired gold flats, a creme top and a long chain necklace. I love the detailing in the back of the shirt. Again, I left some detail for the back, I don’t want to compete with the pants. 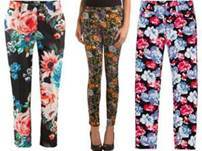 Tags: celebrities, floral jeans, floral pants, Maxxinsta, pants, style expert, TJ Maxx, trend, trend expert. Bookmark the permalink.